Google Maps has got so many integrated features like reading Wikipedia articles, viewing real time traffic data, sharing Map links directly on Google+ , even a helicopter view, but in past few days firstly Apple and then Amazon announced that they won’t be using Google Maps in their devices. If you ever get in a situation that you don’t have to use Google Maps, below is a list of top alternative to Google Maps. 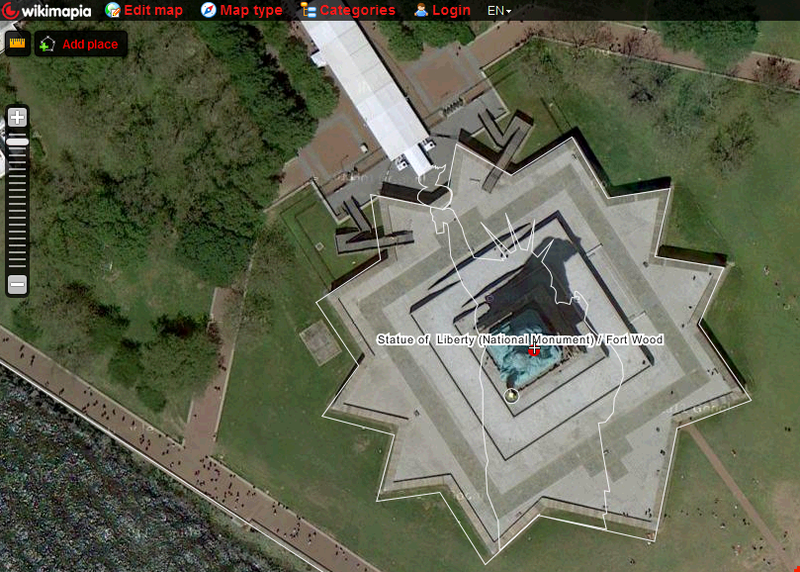 If you are not searching on Google Maps, chances are that you are using Microsoft’s Bing Maps. With former Google’s employee Marrisa Mayer joining Yahoo as it’s CEO, we can expect many new features and change over of many Yahoo products including Yahoo Maps too. Yahoo maps support these features. Yahoo Maps are presented in partnership with Nokia. After Google, Bing and Yahoo, you can count on Mapquest to search for a place or get directions. Mapquest also has few nice features listed below. Local Tools are really good if you are planning to visit the place. Additionally you can send map links to your car and your Garmin GPS. 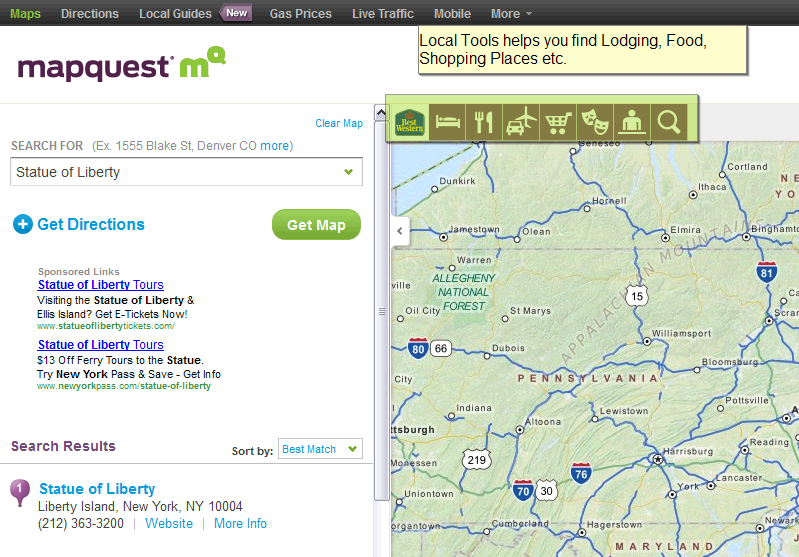 Mapquest can also help you in finding Cheap Gas Prices. OpenStreetMap is not as good as above 3 but still you can give it a try. Wikimapia’s Search is not so good. You may need to try multiple words to see the map of a place. 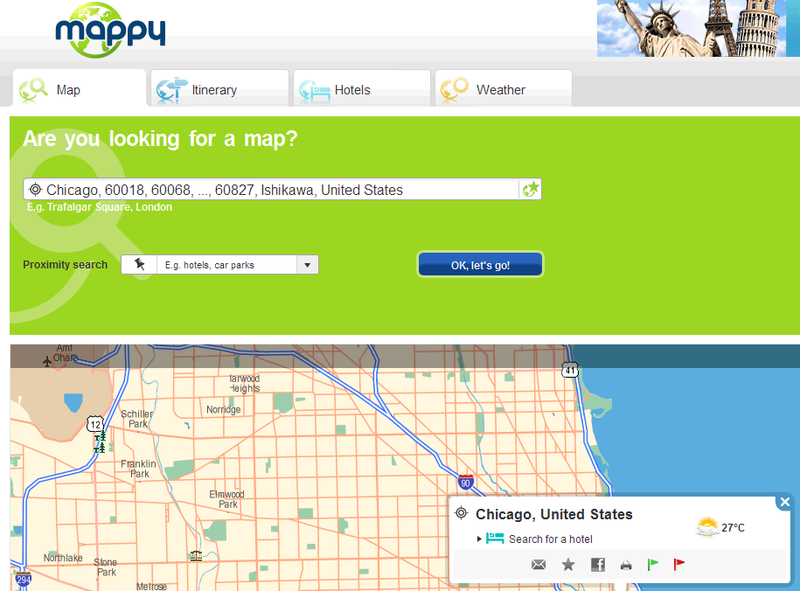 Chances are Mappy won’t make you happy with its search. If you search for a place, it will give you number of options to choose from but none of them might match your requirement.